Tripura chief minister Manik Sarkar called upon the working class people to take a lead role in the formation of the eighth Left Front government with more votes, seats and strength. 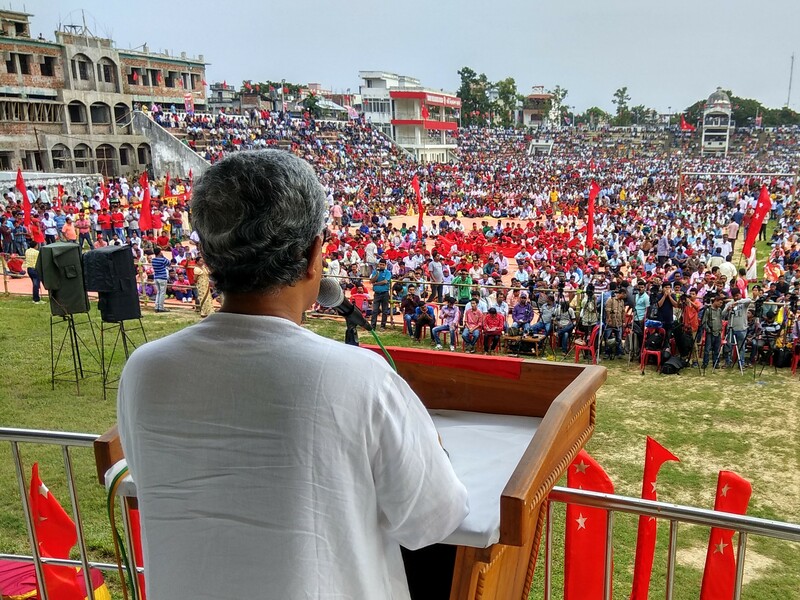 Addressing a CITU rally at Vivekananda ground in Agartala on Sunday he alleged a deep rooted conspiracy to defeat the pro-poor Left government in Tripura. The Chief Minister was critical over the role of the RSS, the BJP and Indigenous People’s Front of Tripura. He also lashed out at BJP led Central government for working in favour of corporate houses. Besides Sarkar, CITU leader Hemlata, MP Sankar Prasad Dutta and minister Manik Dey also addressed the rally.